What was once a buggy barn in the historic Downtown Overland Park is now a beautifully renovated culinary mecca with two state-of-the-art cooking studios in a homey environment. 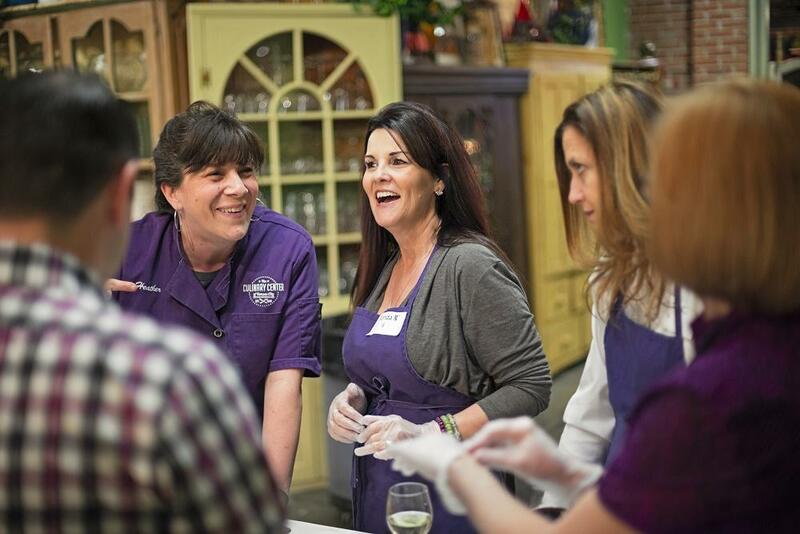 The Kansas City Culinary Center hosts over 600 cooking classes each year. Led by experienced culinary instructors, these classes cover a range of dishes and techniques: Knife Skills 101, Seasonal Pies, The Art of Making Gnocchi and much more! The Culinary Center's Kitchen Shop offers custom kitchen equipment and gadgets, plus a boutique curated of only local goods including MAPS Coffee Roasters, Tall Grass Toffee and Wood + Salt just to name a few.